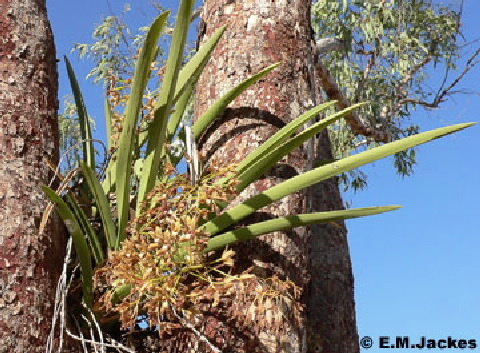 This epiphytic orchid is often seen growing in the fork where two branches arise in large eucalypts in woodland areas. A variable species it is often cultivated. Pseudobulbs are clustered to 15 cm long, leaves are keeled, thick 20-60 cm long. 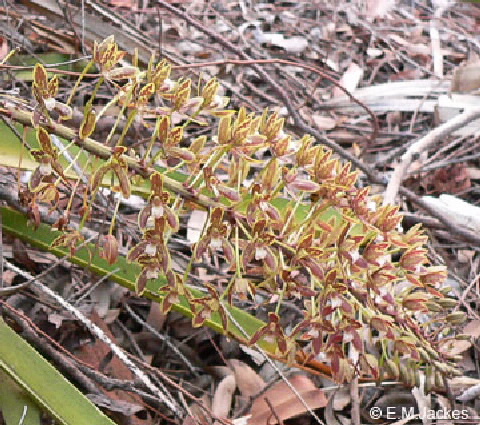 Flowers in pendulous racemes, each flower 2.5-3.5 cm diameter; colour varies from pale to almost black but with dark splotches. Capsules are ovoid to 3 cm long.